We enjoy the process to work closely with our clients and partners to build products from a scratch. We feel excited seeing products taking off and loved by thousands of users. 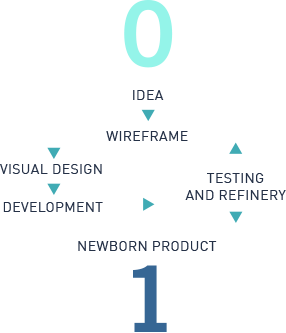 We work closely with clients and our design partners, including idea consolidation, wireframing, design prototyping and visual design. We adopt agile and test-driven website and mobile app development methodologies to deliver high-quality products iteratively. Tackling application or website design is might seem like a daunting and laborious task to some; however, the process becomes efficient and involved when you work with the experienced team from Fooyo. Our staff have built up their in-depth expertise over many years in the industry, and know how to make an intuitive, eye-popping app that stands out from the crowd. From technical back-end processes to the overall look and feel of the finished result, our mobile app company can help you achieve something great for your business in Singapore and abroad. It’s no secret that the web presents a huge opportunity for companies all over the world. However, not all realise that an increasingly significant chunk of web users are now accessing their favourite products and services on mobile devices. Developing an app that is designed specifically for these devices drastically improves user experience and demonstrates that your business is moving forward and responding to consumer demand. It doesn’t matter what you need: we have worked on anything from food ordering to news aggregators, so take a look at what we’ve done in the past for some inspiration on what you can achieve with Fooyo. Whether you are itching to get started on a project, have an idea for an app that you need to discuss or simply don’t know where to begin, we’d love to hear from you. Give us a call on (+65) 8412 7233 or send an email to hi@fooyo.sg and we will be more than happy to discuss what we can do for you. If you were searching for experienced mobile app development companies in Singapore, then you have come to the right place. Contact Fooyo and take the first step towards a better future for your business.